Congratulations on your first ship, Captain! 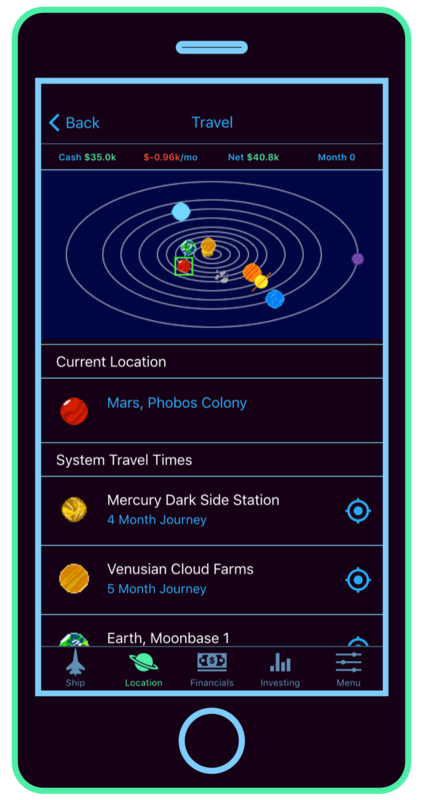 Now you’re ready to venture out in to the solar system. This ship is your home, your livelihood, and your biggest asset. Use it to make as much money as possible. If you’re going to trade in the big leagues though, you’ll eventually need a bigger ship with a bigger hold; it might be time to start saving up for a down payment. The solar system is a huge place, and it can take months (or years) to travel between the different settlements. Since the costs of running your ship will add up quickly, you’ll need to plan your trade routes carefully to stay out of the red. In space though, trade routes don’t last: as the planets transit around the sun, the pattern of profitable routes constantly shifts. Trading is how you build your wealth. 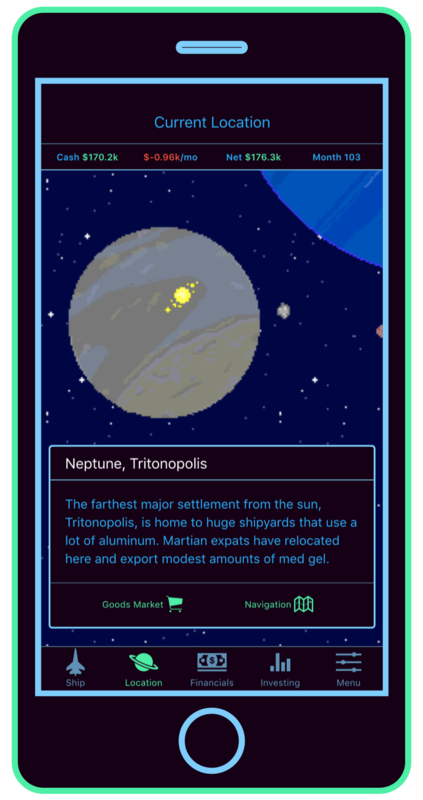 Each planet in the system has its own economy. To maximize your profits, you’ll need to learn where goods are produced and where they are needed the most. It takes a lot of money upfront to load up your cargo hold. If you want to stay out of debt (and avoid paying high credit interest), you’ll need to keep cash on hand. As you build your fortune, you’ll need to put your money to work. Invest in stock, bond, and gold indexes to build wealth and generate passive income. Investing can still be risky, so you’ll need to pay close attention to your portfolio. 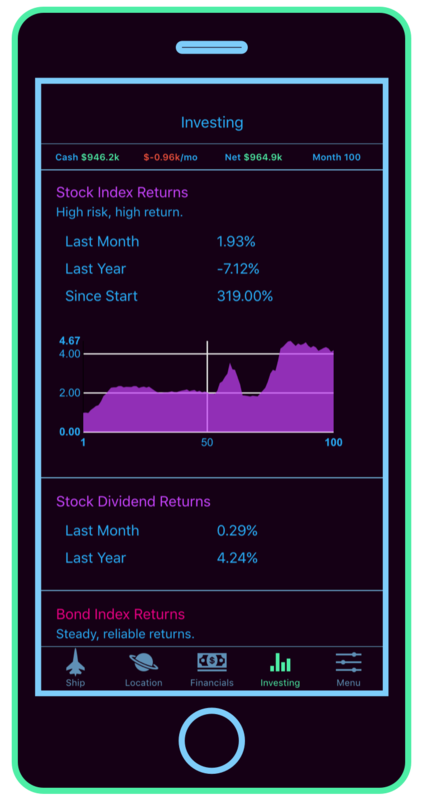 Eventually, your investments might even make you more money than trading. 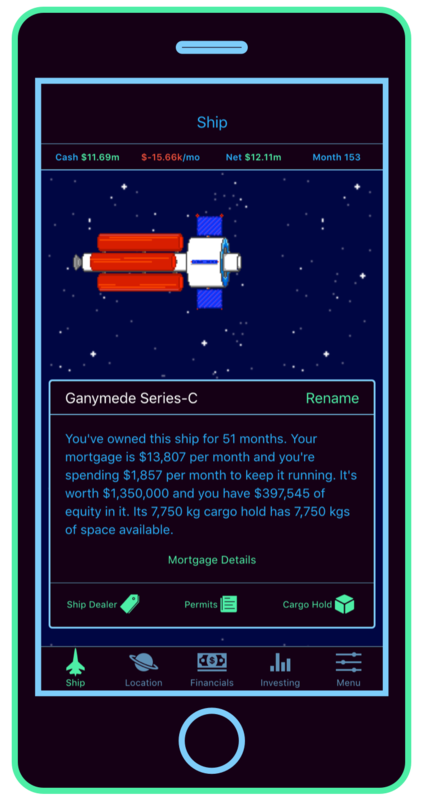 If you manage your investments well, one day you’ll be able to afford a permit to live somewhere nice, like Ganymede, Mars, or maybe even Earth.